"Here's How To Develop Superhuman Mental Abilities With 16 Simple Lessons That Thousands Of People Have Quietly Used Since The 1960's!" ATTENTION: This is not just Lessons in Advanced Perception. This is the collected writings of a legendary master, which not only includes Lessons in Advanced Perception, but much more! Hello, my name is Peter Lindemann. I have meditated for over 35 years. During that time, I studied under numerous Healers, Martial Arts Masters, and Spiritual adepts. It is safe to say that my perceptual abilities are above average. Of all of the trainings I have taken or taught the Lessons in Advanced Perception is the most profound. I was first introduced to the Lessons in 1967, while I was still in High School. By my freshman year in college, I began doing the exercises and experiencing the remarkable transformation they cause. In 1975, I taught a six-week Adult Ed class at the University of Hawaii, Hilo, with the first two lessons of this course as the curriculum. Five years later, one of the students who took that class told me that taking that little six week course was one of the most important things he had done in his whole life. That was this person's response to just the first two lessons! Don't get me wrong, there are some excellent methods out there for mental and spiritual development. A short list includes Silva Mind Control, Brainwave Entrainment, The Master Key System, Transcendental Meditation, various Law of Attraction concepts, and a Course in Miracles. Each of these trainings has been marketed successfully because they work. But in my experience, none of them compare with the Lessons in Advanced Perception. Life periodically presents us with "Golden Opportunities". If we take advantage of them, our lives are changed immeasurably. If we ignore them, our lives go on, but change happens more slowly. The Lessons in Advanced Perception is one of those Golden Opportunities. I encourage you to seriously consider this offer. If you are ready to change your life for the better, with the chance to become more than you ever dreamed possible, then this could be your next Golden Opportunity. Let me tell you a little bit about where this training came from, so you can appreciate what I am saying. The Lessons in Advanced Perception was the primary training curriculum at The Institute for Advanced Perception in Oak Park, Illinois, starting in 1960. 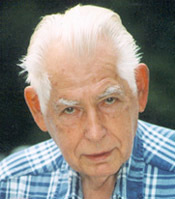 The training grew out of over 10 years of experimental work by its developer, Harold S. Schroeppel. During the developmental period in the 1950's, hundreds of mind development techniques were researched and tested for their effectiveness. Many ancient techniques from Yoga, the Martial Arts, the Kabalah, the Bible, and Hindu Sacred teachings were tested on thousands of volunteers. Some of the techniques worked, to one degree or another, but many others didn't. What's more, some worked only for advanced students, while others worked for anybody who tried them. In the end, this process identified 16 fundamental lessons that helped the student develop enhanced perceptual ability. Harold Schroeppel arranged these lessons in a specific order, so anyone could start at the beginning and progress to the more advanced techniques successfully. The process was revolutionary and the results were spectacular. The Lessons in Advanced Perception is a complete study course that anyone can start at the beginning and learn the skills necessary to advance to the next level. Once the new skill is set, the student can move on to the next lesson. Most of the lessons build on the skills developed in the earlier chapters, so the material is interactive and progressive. In spite of its limited exposure, the Lessons in Advanced Perception has been taught continuously in limited circles for over 48 years. This training is neither a fad nor some bright idea tossed together in a weekend. This Material is the most advanced mind control course ever created, and it has stood the test of time! Thousands of people have used this material to better their lives and develop their mental abilities. What is new is that this is the first time this training has been made available to the general public. What if you could tell if someone was lying to you? Would that be valuable in your personal life, in your social life, or in your business life? Of course it would. It would allow you to avoid developing friendships or doing business with the wrong people. This is just one of the abilities you can acquire from this training. What if you could really feel someone else's emotions? Would that be valuable in your intimate relationships? Of course it would. It would allow a level of closeness and trust to develop between you and your partner that most people can only dream about. This is another one of the abilities you can develop from this training. What if you could actually hear another person's thoughts in your mind? Do you think this could be useful during business negotiations? Of course it would. It could allow you to provide your clients with what they really need or to avoid being caught up in an unscrupulous deal. This is just another one of the amazing abilities students of this training report developing. Well, many students report increased self-esteem, increased intimacy, and increased earning power, just to name a few. But those are just some of the side-benefits to a life of deep sensitivity to the world around you. So, what is stopping you from having these abilities right now? Well, actually, what's stopping you is a whole lot of very ordinary things. It just so happens that these ordinary, everyday things take parts of your attention and focus them away from the present moment. Do you have any chronically tense muscles in your body? Do you have difficulty letting go of strong emotions once they are aroused? Do you ever envy someone else's abilities or wish you were someone else? Do you ever have trouble banishing bad thoughts from your mind? Do you ever start a project that you later choose not to finish? If you are like many others, you probably answered "YES" to a number of these questions. Our society has let us believe that "everybody" is like this and that being this way is "normal". The truth is, not everybody is like this, and the people who can answer "NO" to each of these questions have learned these skills, just like you can. But more importantly, these people have a much greater sensitivity in the Present Moment, because their attention isn't divided between all of these other activities. "If you have no thought, emotion, effort, pain or confusion stored in your own body, then any thought, emotion, effort, pain, or confusion of which you are aware is someone else's." It's like this. If you have ever been out in the country in the evening, you may have noticed that the surroundings can get pretty quiet. When everything is still, you can easily hear a truck going down the highway 10 miles away or even an airplane taking off from an airport 20 miles away. Normally, a light breeze rustling the leaves would mask these distant sounds. But if everything is quiet, you can hear them faintly in the background. Well, your mind is the same way. When you learn to quiet your own inner distractions, the sounds of other people's thoughts and feelings become faintly noticeable. The more you practice the techniques, the easier it is to sense the disturbances these other thoughts and feelings project into the environment. After a while, you can sense them all the time if you want. This is the essence of the Lessons in Advanced Perception. It is based on the premise that the more you understand your own, inner activities, the more at peace you will be with yourself. The quieter you are inside yourself, the easier it is to sense the inner activities of others nearby. 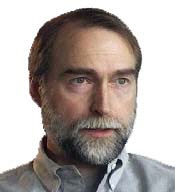 "Having worked as a professional Technical Remote Viewer (TRV) for over 6 years, I have done thousands of Remote Viewing sessions for hundreds of satisfied clients. The Lessons in Advanced Perception is a fantastic and simple step by step program to develop your intuition. TRV is simply a methodology to harness and guide intuition in a very precise manner. The Lessons in Advanced Perception are a proven way to build intuition, and are an effective adjunct to TRV." We Find Out is the #1 Professional and most accurate remote intelligence collection & analysis service in America. "I have been practicing Lesson 1 on Effort for only three weeks and I am quite astonished at the results I am already experiencing! Schroeppel's advice to see it as a 'game' makes it something I look forward to doing. After the first two weeks, I was able to quickly release tension in each area of my body and in doing so, I noticed that a painful area in my lower back that I've been living with for several years now has greatly diminished! I also noticed a heightened sense of 'knowing' the feelings of people around me and this sharpened sense of perception is something that strengthens with each practice! This happened with just the first lesson! 'Lessons in Advanced Perception' has already proven to be one of those rare gems that one discovers once in a lifetime and I HIGHLY recommend it!" " As a trained Technical Remote Viewer and natural clairvoyant, it is very obvious to me when something either helps or hinders these skills and abilites. I experienced INCREDIBLE RESULTS after only the first lesson! I'm recommending it to all my clients." Victor is an internationally known Peace Maker. He helped initiate the world's first peaceful business venture between Israel and Jordan in 1994. "Recently, while dealing with a significant health problem, Peter Lindemann helped me out by testing all of the various supplements that I was taking, simply by holding them in his hand. There was one herb in particular, which he told me, 'Your body does not want this' and that I should stop taking it. Interestingly enough, I was soon contacted by my Naturopathic Doctor, who had suggested the herb in the first place. She told me that she had just found out that this herb contained a substance that was incompatible with my blood. For me, this was a very powerful demonstration of Peter's perceptual abilities, which were developed from the exercises in the Lessons in Advanced Perception." The training begins with an exploration of your "intensions" in life. Literally, what "tensions" are you holding inside yourself? These inner efforts take up a large amount of your attention and therefore block your ability to see beyond them. The Effort Exercises are a thorough exploration of tension in the body, allowing you to release "in-tensions" that are no longer useful, and sense other people's intensions, as well. Emotion is not simply a wonderful or terrible way to feel. Emotion is the energy that motivates us to take action. Depression can make you feel like doing nothing, while enthusiasm can make you do things you probably shouldn't. This chapter explores how you create emotion, and how to quickly change how you feel to its opposite, so balance is easily restored when strong emotions are aroused. This process can free you from being swept away by the crowd and allows you to take deliberate and decisive action when you see fit. Beyond Effort, beyond Emotion, there are other qualities of energy moving through our body and mind. As soon as the confusion of misdirected Effort and Emotion is reduced, these other energies become more noticeable. This chapter teaches how to direct and accumulate these energies for health, benefit, and awareness. As the abilities to move energy with your intent develop, the specific locations in your body that control these energies become apparent. Both Martial Arts and Yoga teach methods of being aware of these energy centers or Chakras. But these other methods can take years of practice to master. This chapter teaches immediate methods to develop the abilities that are attributed to these Energy Control Centers. Who are you? This is the age old question. While knowing who you are in the "cosmic sense" may require profound Spiritual realization, knowing who you are NOT is something that you can become clear about right now. This chapter explores how we have unconsciously identified with other people in our lives; from those we admire, to close friends, influential teachers, parents, and intimate partners. Sorting these things out and coming back to being "ourselves" enhances mental clarity, self esteem, and confidence. It also thoroughly familiarizes you with the identification process and how to use it properly for self respect and enhanced sensitivity. In this Lesson, Emotion is revisited. This time, the process is deepened to practice a sliding scale of subtle emotional variations to further your mastery of sensing information by feeling. This chapter is really the beginning of your "fine tuning" process as your abilities to sense an expanding world continue to grow. Is it possible to know something will happen before it does? Sometimes the answer is YES and sometimes the answer is NO. Take the lottery. I know that in the future, six lottery numbers will be chosen, twice a week, on Wednesday and Saturday evenings. I do not know what numbers will be picked. This chapter explores the remarkable possibilities of what can be known about the future and how to enhance these possibilities and turn them into high probabilities. Are you the author of all of the thoughts you think? Are you sure? This chapter shows you exactly how to distinguish between what thoughts are yours and what thoughts are given to you by others. Being able to control your own, personal, mental space brings a new clarity to your life and forever ends the possibility of being manipulated by someone else without knowing it. This chapter builds on the abilities gained in Lesson 8 and fine tunes control over thought and mental imagery. Can you create mental images of anything you want? Can you see them clearly in your mind's eye? Can you produce these images in full color, in 3-dimensions, in fine detail? Can you zoom in close, rotate them up-side-down, and progress them into the future? This lesson helps you develop a clear understanding about what is real and what is imaginary in your mind and in your life. Are you better at starting projects than seeing them through to the end? When you were young, did you ever want to be a fireman or a nurse or a teacher? What happened to those goals and are they stopping you from accomplishing what you want now? This chapter explores the different stages of a process from inception, to growth, to maturity, to completion, and what role each stage of development plays in our lives. Everything we start we must finish, either in the real world or in our imagination. Learn how to tie up all of the loose ends in your life and get on track to accomplishing your most important goals. Are there special mental activities other than "thinking"? This chapter explores a number of these specialized, deliberate activities and teaches you how to use your mind in completely new ways. Meditation is more than just being quiet and stopping your thoughts and this lesson presents a number of very powerful techniques. Do your thoughts wander sometimes? Do you ever find yourself singing old songs in the back of your mind? This chapter explores the process of mental focus and the ability to bring your attention to a single, fixed point, and hold it there for a prescribed period of time. This increases your ability to learn new things easily and remember them completely. It also increases your ability to eliminate stray thoughts and random images from arising in your mind. Many health disturbances are really just blocked energy. In this chapter, learn how to apply all of your new found abilities to reduce pain, increase immune system strength, and streamline metabolic functions. You may never be able to set broken bones with your mind, but there are dozens of things you can learn to do to enhance the health of your family and friends. This chapter explores various "internal" sources of information and how to access them. There are a number of experiencable archives of information that can be accessed by the techniques taught in this text. Sometimes these data bases are called the Akashic Records, Genetic Memory, Cellular Awareness or the like. Jung referred to this as the "collective unconscious". Regardless of what they may be called, there are effective ways to access information from these inner resources, as well as the methods to learn from them. As we approach the end of the training, the lessons become increasingly advanced. Even to attempt this process, the student must have proficiency in many of the earlier lessons. How does the mind create continuity? How does the flow of moments produce its seamless appearance? This chapter explores the process of Duplication; the ability to produce the same image in the mind, over and over, in perfect detail. Lesson 7 explored Precognition; the ability to be aware of the highest probability for future events, before they occur. Now, in this lesson, the possibility of modifying these future probabilities is explored. We are constantly creating our highest probability future by the intentions we energize with our dominant emotion. To change the future we are drawing to ourselves, we must change our intent, and the behaviors that put us at effect to random events. When we take responsibility for creating clarity in our heart and mind, our lives become a model of effortless success. Accidents stop happening and synchronicities multiply exponentially. So again, here's a brief wrap up of this amazing training. It starts you at the beginning, and builds skill upon skill upon skill. It takes everyday things, like emotions, thoughts, and visualization and builds them into the highly refined abilities they were always meant to be. The Lessons in Advanced Perception is a blue print for a life that works at a highly integrated level. It provides a system of practical, doable steps, that you can start taking right now, to transform your life from what it is like now into an extraordinary life of clarity, balance, vision, focus, and sensitivity. ...these lessons are so powerful and effective, they work almost by themselves. You can't mess them up. Just follow the directions in the Lessons in Advanced Perception - then take a step back and begin experiencing advanced perceptual abilities now! ...jump on this chance to get the original Lessons in Advanced Perception from me right now. These methods are as scientific as universal laws. It doesn't matter who's using them, they work. If thousands of others have used them successfully, so can you. Now listen, this training isn't fluffed up with a bunch of unnecessary philosophy - it is just the stuff that works, period. The training is to the point and very powerful. Until I released this E-book, one of the only ways you could get this training was to attend a private seminar that cost over $2,000! That's how guarded this training has been. The ONLY other option was to get a printout of the training and pay more than $450, and that was just for the basic 16 Lesson Course. If you buy the Lessons in Advanced Perception right now, I'll also send you a copy of the extremely rare booklet The How of Telepathy, written by Harold Schroeppel in 1953. Copies of this rare monograph have sold recently on E-Bay for $75. But as part of this offer, you get this amazing booklet absolutely FREE. The How of Telepathy shows the roots of the training. It was written during the time of Schroeppel's early experimentation, and is filled with insights and history. In fact, this is the first time this remarkable booklet has ever been reprinted. I'll also include THREE MORE ARTICLES written by Harold Schroeppel that expand on the material in the Lessons in Advanced Perception. You get the very rare article "Intent is Key to Running Futures" which expands on the material in Lesson 16. You also get "Emotional Tone Scale, Part 2" which continues the teaching presented in Lesson 6. And finally, you get "Conclusion", the very last addition to the lessons published in 1963. These articles are like new lessons in and of themselves, and could easily sell for $30 each. So, you get the complete Lessons in Advanced Perception, The How of Telepathy, "Intent is Key to Running Futures", "Emotional Tone Scale, Part 2", and "Conclusion". This unprecedented anthology of The Collected Writings of Harold S. Schroeppel on the subject of expanding human awareness has never been available as a single package before. 7 (SEVEN) - BRAIN ENTRAINMENT SOUNDTRACKS. Deep Delta Brainwave Entrainment, Schumann Resonance 7.83hz Soundtrack, Frontal Lobe Stimulation and more! Many of these brainwave soundtracks are being sold for $39.95 and MORE for EACH download! You get 7 of them for nothing! Valued at over $277 - INCLUDED FREE! Days To Try "Lessons in Advanced Perception"
Get your hands on a copy of "Lessons in Advanced Perception" right now. Then get comfortable and take some time to read through it. Take a look at each of 16 Lessons and see for yourself if this isn't the most powerfully effective training material you have ever seen on the subject. And don't rush. You have a full two months to read through and apply the lessons and then decide. If after 60 days, Lessons in Advanced Perception hasn't proven to you that you CAN actually begin experiencing advanced perceptual abilities...or if you're not already sensing changes... or if you're unsatisfied for any reason at all! Simply write me an email saying so and I'll return your investment ASAP. Take that as my promise to you. You have 60 days to check out Lessons in Advanced Perception to see if you too can begin experiencing advanced perceptual abilities -- risk free! Lessons In Advanced Perception Now! Click the button below now -- get your hands on Lessons in Advanced Perception now before it slips your mind. "Lessons in Advanced Perception" Now! Peter, I'm ready to begin experiencing my advanced perceptual abilities with the same amazing steps that thousands of others have been quietly using since the 1960's. I'm ready for these tested and proven methods that will work for me! 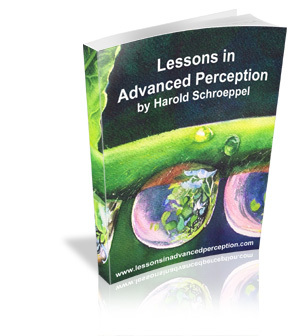 Give me Harold Schroeppel's 16 Lessons in Advanced Perception now so I can get started right away. I know my satisfaction is guaranteed so my decision is risk-free! Get "Lessons in Advanced Perception" right now and read through it. Then decide if it isn't the best Mind Power Course you've ever seen, at ANY price! P.P.S. Remember, I'm taking all the risk for the full 60 days while you get to test-drive the system. If it doesn't work for you, you pay nothing!